The different areas of the events industry are coming together to meet the growing demands of audiences, according to Paul Woodward, managing director, UFI, the Global Association of the Exhibition Industry. Speaking at the 50th ICCA World Congress in Leipzig, Woodward said that the market is changing and traditional exhibition and congress formats don’t exist in the way they did. "They are in many ways merging, and they have to if we want to excite audiences with thought leadership," he said. "We are increasingly seeing traditional exhibitions having to build in content, live streaming, entertainment and unconventional layouts to their events." Woodward also presented figures from the latest UFI research, which showed that the state of the economy was the most important business issue for exhibition organisers, and that mid-sized national fairs are being hardest hit, due to global companies cutting their budgets and attending less events. 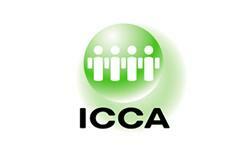 The research revealed that confidence in the future of the exhibitions industry is highest in the Asia Pacific region.